Pyjamas, fireplace and hot chocolate. Check, check and check. That's nearly as many checks as we've put on these brushed-cotton bottoms. Cosy ribbed cuffs keep the warmth in, and we've added a sparkly tie at the waist – just for fun. 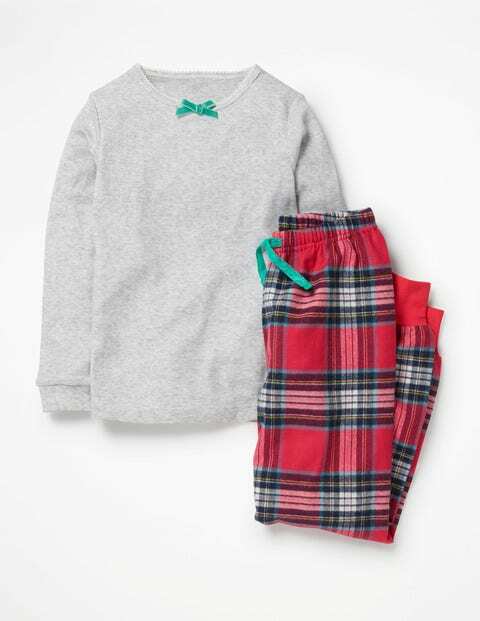 The set is topped off with a soft, long-sleeved T-shirt, which has sweet bow detailing. We recommend accessorising with biscuits too.